In December a team from ESID visited Uganda to share the outcomes of research on TSUPU: the Transforming Settlements of the Urban Poor Programme. 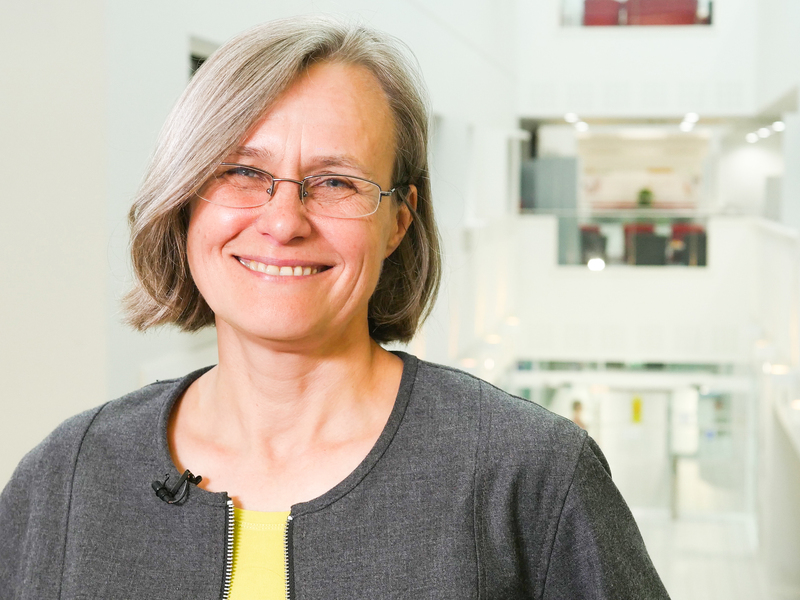 In the first in a series of blogs on this innovative research on urban poverty in Uganda, Diana reflects on lessons learned and the value of academia co-producing knowledge with multiple stakeholders. With close to one billion people living in informal settlements across towns and cities of the global South, and numbers anticipated to rise significantly over the next decade, finding solutions to improve people’s living conditions is a global imperative. Transforming Settlements of the Urban Poor in Uganda (TSUPU) is one of the initiatives recently undertaken in sub-Saharan Africa to address such needs. ESID’s researchers have been working with the National Slum Dwellers Federation of Uganda and its support NGO, ACTogether, to understand programme outcomes and to gather evidence about why and how positive impacts have been secured. TSUPU has provided a learning platform to build and share knowledge about the contribution of government and citizen partnerships to urban poverty reduction. TSUPU itself has now finished, but a successor programme, USMID, is helping to support some of this work. Academic research can too often seem distant from the day-to-day realities faced by low-income and disadvantaged groups. ESID’s research has tried to reduce the risk that we will simply produce bookshelf reports and “learned” texts, by co-producing knowledge with informal settlement residents themselves. Watch Diana’s vlog for more on this. Inevitably, our findings have drawn from a much wider set of stakeholders than residents, as those with a history of working with the Federation and ACTogether have been drawn into the data collection and analysis. This has happened both informally through conversations and more formally with interviews and meetings at multiple levels of government, from settlement-level councillors to senior staff in relevant ministries. In December, ESID researchers, Peter Kasaija, Sophie King and Diana from the Universities of Makerere, Sheffield and Manchester, respectively, participated in events across Uganda that have shared findings about research carried out in Kampala, Mbale and Kabale. As with other ESID projects, through the sharing of findings with policymakers and programming designers and implementers, we are giving ourselves the opportunity to learn more about state ideas, commitment and capacities, and giving opportunities for operational staff and programme participants to interrogate our findings. The research shows how TSUPU has succeeded in changing relations between city and municipal government officials and organizations of low-income and disadvantaged groups. Particularly important has been the formation of Municipal Development Forums, which bring together different stakeholders, including local community groups, to share experiences and debate development priorities. These and other activities have helped to ensure that low-income citizens and their neighbourhood associations are seen as a positive force supporting development and inclusive urbanization. Projects have helped to address infrastructure and service deficiencies and improve residents’ wellbeing. With limited upgrading funds available from TSUPU and limited municipal budgets, these experiences are particularly important for the lessons that emerge about appropriate technical and management designs for urban poverty reduction. Preliminary responses from government suggest that the research may be contributing to advancing programming in Uganda in four ways. First, Commissioners and officials from the Ministry of Lands, Housing and Urban Development acknowledged the importance of regular reflection between all of the stakeholders involved in urban programming. One-off meetings such as those catalysed by the research are helpful, but are not enough. One platform for reflection will be provided by the re-convened Ugandan National Urban Forum, but there is a need to augment this broadly-based engagement with discussions between programme participants. The Commissioner for Urban Development has called for a meeting in January to look at the outcomes of this week of national and municipal engagements and agree how to embed learning in future plans. It is testament to the commitment cultivated among municipal stakeholders during the TSUPU programme and through the municipal development forums that each of the Mbale and Kabale reflections ended with municipal officials in each town taking responsibility for convening reflection and action-planning meetings to follow up on discussions. Second, Ministry officials agreed that USMID, funded by the World Bank, has a component for capacity building and this provides an opportunity to strengthen the Municipal Development Forums. There was widespread agreement that the Forums have been effective in creating a dialogue between stakeholders and of particular value in strengthening the legitimacy of disadvantaged groups as essential partners in urban development. 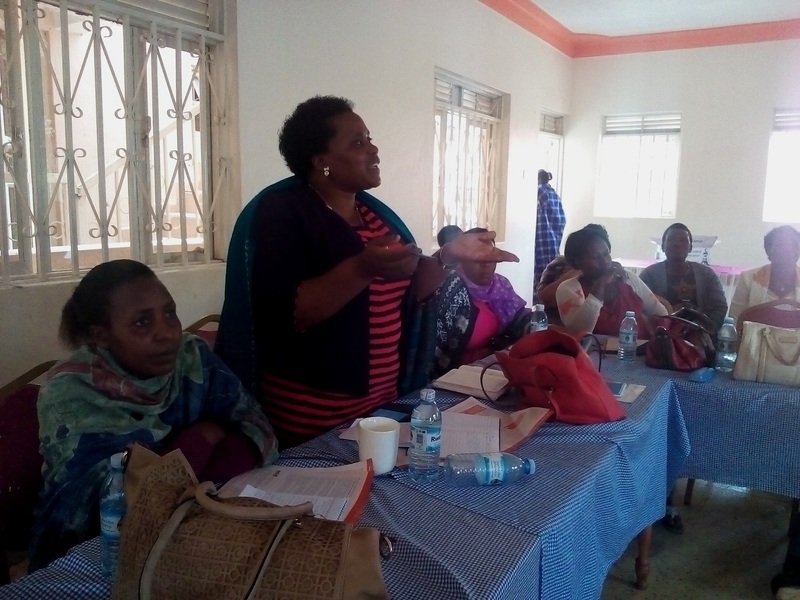 In Kabale, participants welcomed proposals for the introduction of mentoring arrangements within the MDF processes and a representative from Kick Corruption Out of Kigezi committed to the delivery of project planning and management training for MDF members. Third, reflections on the research findings about how communities and city governments can identify long-term interventions to improve livelihoods and support economic development highlighted the need for continuing funding. One option, proposed by a senior ministry official, could be to enforce the existing commitment of national government to return 25 percent of the funds raised by local government to the lowest level of local government, i.e. settlements or neighbourhoods. Local revenue levels remain low in Ugandan municipalities, but by creating revolving funds the scale of investment resources available could be increased, enabling current projects to be maintained, new projects to be instituted and providing for the scaling up of infrastructure provision as monies are returned and re-invested. Government officials agreed to work with organised communities to examine this further. 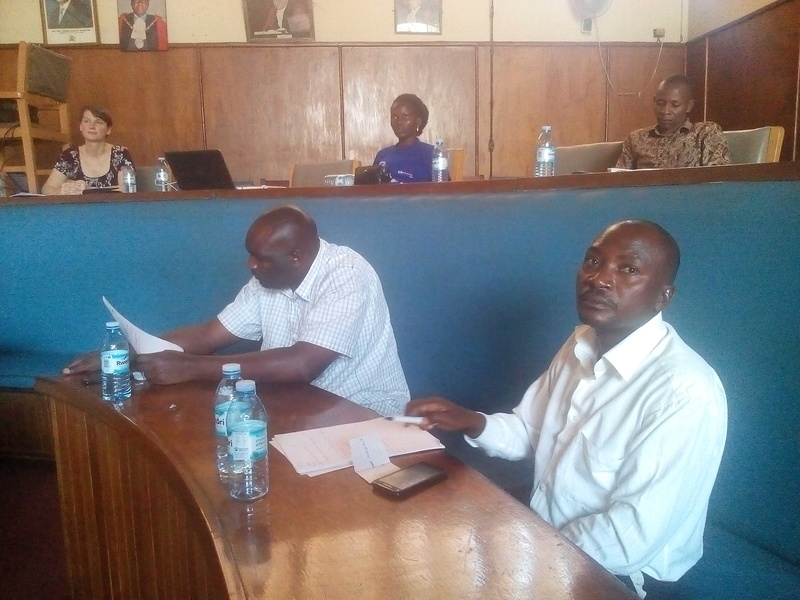 The suggestion was strongly endorsed by Mbale’s Environment Officer and Area Councillors in Kabale Municipality, although it is likely to face political resistance from those currently benefiting from the status quo. Fourth, in Kabale municipality there was a strong focus during discussions about the constraints of the one million shilling threshold for the use of community contracting for development projects such as water and sanitation, or access road and bridge construction. Kabale’s Physical Planner argued that “community contracting is something we need as a municipality … we have seen very good results”. Community contracting puts procurement and implementation processes in the hands of organised communities – working in partnership with technical municipal officials. It increases transparency and accountability for the use of scarce poverty reduction resources, builds strong relationships of trust between municipal officials and low-income citizens, creates local ownership and sustainability – and is more cost-effective as communities make in-kind contributions. This suggestion will be brought into discussions with the Ministry in January. Finally, there was mutual agreement by both community and government about the value of academia in co-producing knowledge with multiple stakeholders and high demand for further research partnerships nationally and in each of our case study municipalities. Read the briefing papers on this research. Find out more about Diana Mitlin in this spotlight interview.